If you’re a female entrepreneur craving a meaningful romantic relationship or are in one and your business seems to always get in the way, you’re in the right place. 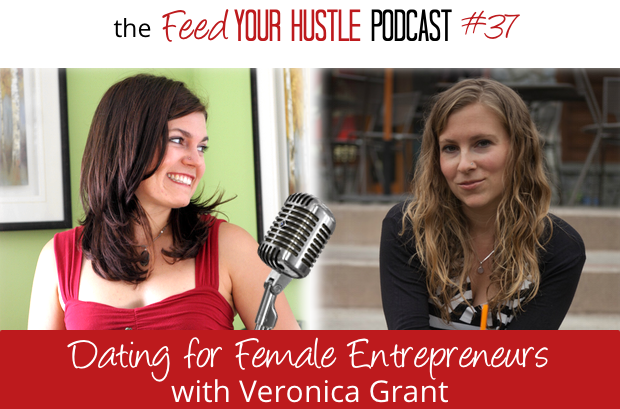 On this episode of Feed Your Hustle, I’m chatting with Veronica Grant, host of Date Yourself Radio about how dating is like being in business and the major challenges I see come up for my female entrepreneur clients and for myself in dating and relationships. JOIN US! Are you in the FYH group yet? It’s THE place to talk about the self-care balancing act behind your ambitions. If you get value from Feed Your Hustle, please rate & review it in iTunes. It only takes a sec to impact our ranking & help our sisters find the podcast! How are you going to treat yourself the way you want to be treated this week? P.S. Stay tuned next week for the final episode in the Relationship series where I talk with a married couple who are also business partners about how they balance work and life, have time for their relationship while running a successful business, and discover what to talk about at dinner if not business. As an Architect turned Plant Scientist turned Hustle Coach, I help female entrepreneurs get stuff done without burning out. ← #36 Are You Losing Yourself in Your Business?